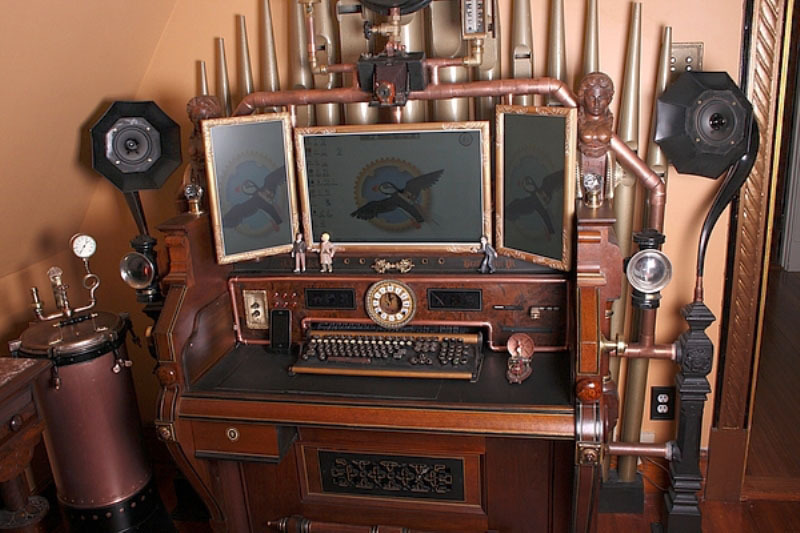 Check out this wild home office featured on Beacont…the desk was fashioned out of old musical instruments, industrial parts and random salvaged items. 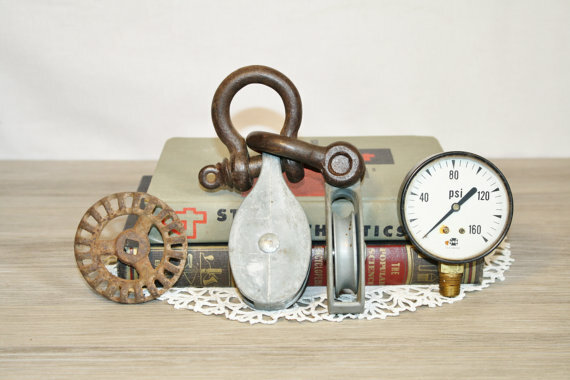 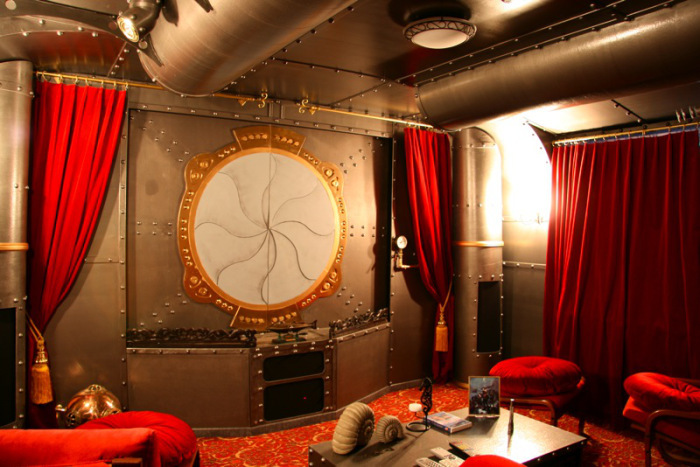 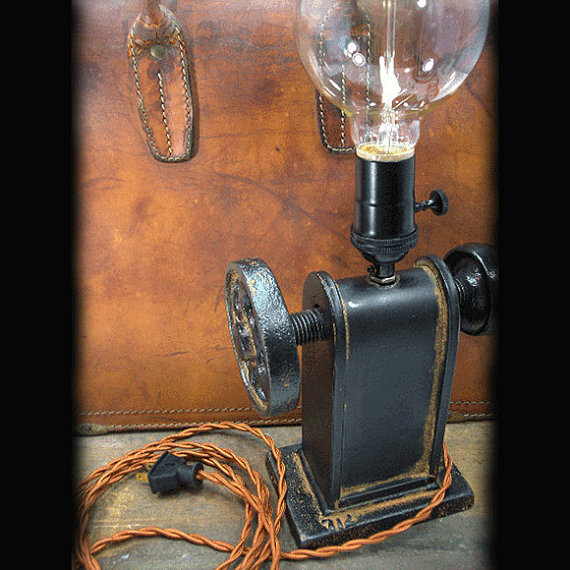 While steampunk home decor isn’t for everyone, its vintage industrial vibe can add retro charm and personality to any home. 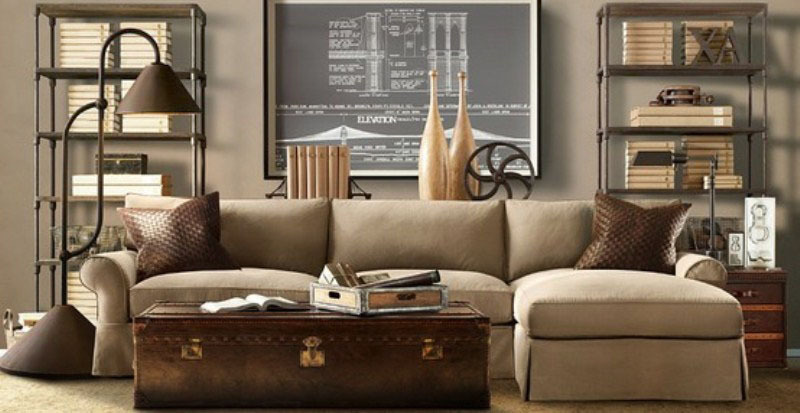 Choose a few pieces that have meaning for you, and bring the steampunk trend home!